Titanium mesh is valued for its high strength, light weight and corrosion-resistant properties. It is used in a wide variety of Industries, Aerospace, Medical and used as Anode and Filter element in chlor-alkali industry and so on. Acid and Alkali resistance, High strength, High temperature resistance, and wear resistance. Used in acid and alkali environment, as sieve in petroleum industry and chemical fiber industrial, pickling in electroplating industrial, food, medicine, machinery manufacturing and other industries. Medical titanium mesh anodization treatment--After the anodization treatment, its corrosion resistance, hardness, wear resistance, insulation, heat resistance are improved. Its life is longer and histocompatibility is higher. 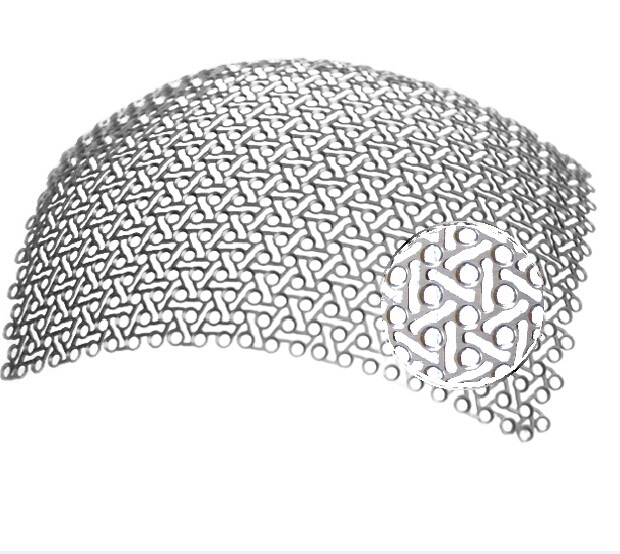 Medical titanium mesh also has strong compression performance and good histocompatibility. After implanted in the human body, the fibroblasts grow into the pores of titanium mesh, so it can integrate with organizational and also have calcification and ossification tendency. It is an ideal cranioplasty material. Is the most common method of weaving, its main feature is the warp and weft density of the same wire diameter. Twill titanium mesh for petroleum, chemical industry, chemical fiber, aerospace and other industries, with good acid and alkali resistance, high temperature resistance, high tensile strength and wear resistance and other properties. We can also provide the square and rectangle mesh besides diamond mesh. Other titanium mesh open size can be customized. TNTI is a trusted supplier and has been specialized in titanium mesh production for many years.